BOLD arrived on the Portsmouth state pier this week, and I loved the rich blue hull. Normally, I can’t get a good shot of something so far away…as the State Pier is a good distance from a clear viewing angle. 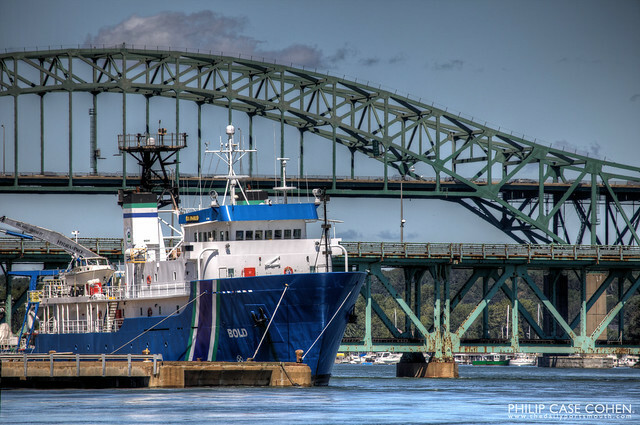 This time was different – as I’m fortunate to be borrowing a 100mm-40mm lens for a bit, and it is able to get a little extra distance to capture the full magnitude of the ship, and of the Piscataqua River Bridge hovering above it.